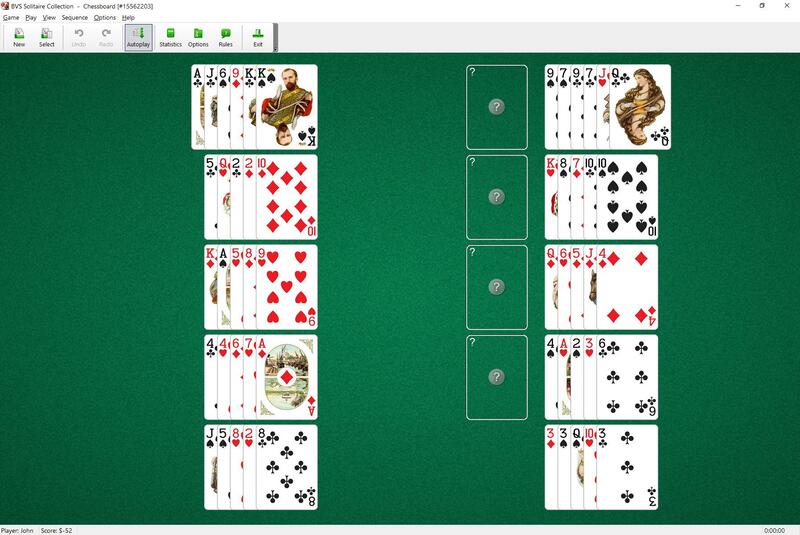 Chessboard Solitaire uses 52 cards. You have 10 tableau piles (2 piles with 6 cards in each pile, 8 piles of 5 cards each) and 4 foundations. To start the game you have to choose the rank of your foundations. To do this, just place your selected card on any foundation pile. The 3 other cards of the same rank are moved to the foundations as they become available. To build the foundations up in suit from the selected rank until each pile contains thirteen cards. 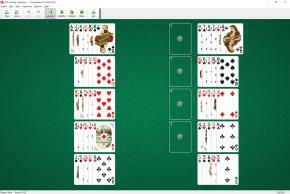 The top cards of tableau piles are available to play. You can build tableau piles up or down in suit. Only one card at a time can be moved.